Crafted from the finest materials, the Aurora ring features an incredibly rare 1.51 Carat round White Argyle diamond that reflects the light in the most astounding way. 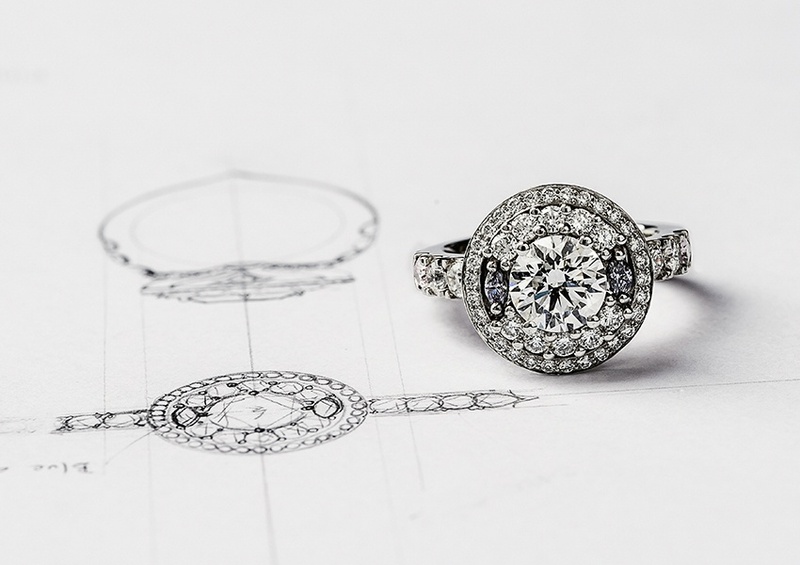 Challenging jewellery design perceptions that a round cut diamond can only be for engagement rings, the piece is an alluring cocktail ring that does not necessarily need to be worn on the left hand, offering great versatility. This ring incorporates influences from numerous design periods to appease the diverse jewellery desires of the modern woman. Set with equally rare and exquisite gems, the centre stone is accompanied by two Pear shaped Pink Argyle Diamonds as a hidden detail on the band and two of the rare Marquise Blue Argyle Diamonds in the inner halo to create a piece truly unparalleled in its luxury. Combining white, pink and blue diamonds to create an abundance of lustre and light not unlike the southern Aurora, this ring is envisioned as a reward for a momentous occasion, an anniversary or simply a decadent treat for someone looking to wear a piece of art every day. For an exclusive glimpse into the making the Aurora ring, click here to watch our behind the scenes video.